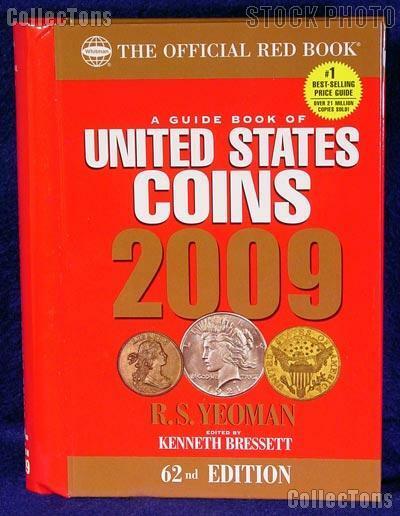 Popularly known as the "Red Book" this annual reference has been consulted by coin collectors everywhere since 1946 for typical retail prices for government minted coins and many private issues used in the United States from the colonial era until the present. Coin values in up to 9 grades are compiled from data supplied by more than 100 contributors, providing the most extensively researched data available. The wealth of information on regular U.S. coinage, colonials and territorial issues (including identification tips, sizes, weights, compositions, mintage numbers, the history of U.S. coins and more) makes the Red Book an invaluable resource for collectors of U.S. coins. It includes actual size photographs of all types and magnified photos of many varieties. This is a new book from our inventory.